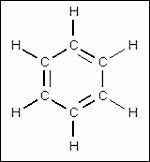 Hydrocarbons are a class of organic chemical compounds containing only hydrogen and carbon. Although hydrocarbons all possess structural similarities, there is a vast spectrum of compounds and each has different physical, chemical and reactive properties. Similarly, each type of hydrocarbon can affect human health in different ways. 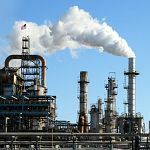 Hydrocarbons include a wide range of toxic compounds, some of which can cause cancer, respiratory problems, nervous system damage and a variety of adverse health effects. It is not possible to provide a comprehensive overview of hydrocarbon toxicology in this brief section; however, the following hydrocarbons represent compounds with which TCAS has acquired extensive experience over a period of more than 28 years and which have repeatedly appeared on our radar as recurring toxic and/or causative agents. These include benzene, benzo[a]pyrene, BTEX, dioxins and PCBs, LNAPL, PAHs, and petroleum products. Show all results for "Benzene"
Both the U.S. EPA and the International Agency for Cancer Research (IARC) have determined that benzene is carcinogenic to humans. TCAS has extensive experience in toxicologically assessing benzene exposures and remediation issues in residential, environmental and industrial cases in both causative and risk assessment scenarios. Please contact our office for additional information. Show all results for "Benzo[a]pyrene"
TCAS has regularly produced toxicological assessments involving benzo[a]pyrene contamination in residential areas, as well as individual exposures involving both B[a]P and other polycyclic aromatic hydrocarbons (see below). We have regularly provided expert opinions and testimony over a period of more than 28 years on behalf of both plaintiffs and defendants. Please contact our office for additional information. Show all results for "BTEX"
BTEX refers to a compound consisting of benzene, toluene, ethylbenzene and xylene. These volatile aromatic compounds are most frequently found in combination in gasoline and diesel fuel. Historically, BTEX contamination of groundwater and soil occurs most frequently near petroleum refineries, natural gas production facilities, petrol loading stations and sites with above- or below-ground storage tanks containing gasoline or petroleum products. A scientifically credible toxicological health risk assessment involving BTEX requires measurement and laboratory analyses of the individual hydrocarbons present in the contaminated media. However, other constituent chemicals (such as naphthalene and styrene) may also be present in such analyses and must be accounted for. TCAS has extensive experience with BTEX exposures and remediation issues in residential, environmental and industrial cases and has produced objective toxicological assessments on behalf of both plaintiffs and defendants. Please contact our office for additional information. Show all results for "Dioxins and PCBs"
NOTE: This website contains a comprehensive review of TCDD and TCDF toxicology, as well as an index of human dioxin exposure studies organized by various adverse health impacts and diseases. Of the many toxic substances confronting the expert toxicologist, dioxins are among the most challenging. The dioxin family of compounds is vast and complex. There are three basic sets of chlorinated compounds with intrinsically similar chemical structures: (a) 75 polychlorinated dibenzo-p-dioxins (PCDDs), (b) 135 polychlorinated dibenzofurans (PCDFs) and (c) 209 polychlorinated biphenyls (PCBs). Dioxins can be produced from incomplete combustion and a variety of other sources. Although PCBs are no longer manufactured in the United States, they were used in electrical transformers and other commercial products and can still be found in the environment. Although some dioxins and PCBs are relatively harmless, others can induce a wide range of adverse health effects when only very tiny amounts are present in the blood. TCDD [2,3,7,8-tetrachlorodibenzo-p-dioxin] is generally regarded as the most toxic. TCDD is classified as a "Group 1 Known Human Carcinogen" by the World Health Organization (WHO) and by the U.S. EPA.8 WHO created a set of standardized Toxic Equivalency Factors (TEFs) which allow the toxicologist to perform dose calculations and objectively assess risk by expressing dose in terms of TCDD potency (TCDD has a TEF of 1.0, the highest toxicity). A scientifically credible toxicological assessment of a dioxin exposure must meet many requirements. 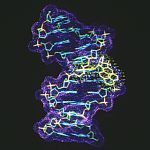 The body of ongoing research is vast and there are a great many human epidemiological studies covering a wide range of potentially adverse health effects. Additionally, there are numerous remedial and regulatory guidelines which set precise limits for dioxins and dioxin-like compounds, some of which vary widely by state and locale. Thus, there are many complex issues the expert toxicologist must consider when conducting a formal dioxin exposure and corresponding risk assessment, particularly in cases involving whole communities. TCAS has extensive experience in toxicologically assessing dioxin exposures, contamination and remediation issues in residential, environmental and industrial cases in both causative and risk assessment scenarios. Our work in this field has been voluminous and we are regularly consulted by clients seeking toxicological opinions and assessments. Please contact our office for additional information. Show all results for "LNAPL"
LNAPL (Light Non-Aqueous Phase Liquid) refers to a group of organic chemical substances (often petroleum) which are relatively insoluble and less dense than water. These characteristics cause them to form a layer at or near the surface of a water table. LNAPL can pose significant environmental and toxicological issues with respect to both short- and long-term exposures. LNAPL analyses can involve aspects of analytical and reconstructive chemistry as well as modeling of liquid behavior, migration and fate. 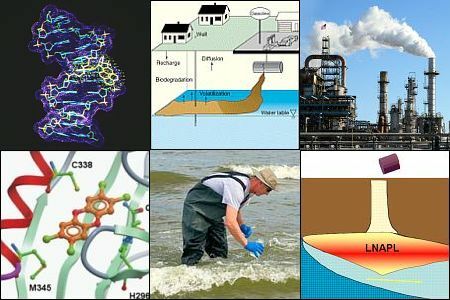 U.S. EPA provides general guidance10,11 with respect to LNAPL analyses, health impacts and remediation of contamination. 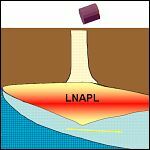 Scientifically credible LNAPL analyses frequently require the combined efforts of a qualified hydrogeologist working in concert with an analytical toxicologist. An objective LNAPL toxicological assessment involves compositional chemistry analyses designed to assess source and age, followed by a comprehensive health risk assessment based on a quantitative evaluation of water ingestion, vapor intrusion and other factors. It is highly recommended that in view of the scope of potential liabilities associated with LNAPL, any individual, company or government agency engaged in LNAPL litigation matters always retain an experienced expert toxicologist and hydrologist. TCAS has performed numerous LNAPL assessments and provided objective reports as well as expert opinions and expert witness consults for many types of LNAPL and DNAPL contamination. 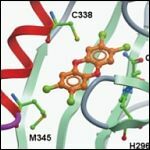 This website contains a comprehensive review of LNAPL toxicology. Please contact our office for additional information. Show all results for "PAHs"
The most recent large-scale release of PAHs occurred in the 2010 "Deepwater Horizon" oil release. Vast quantities of "dispersant" were applied to floating crude oil causing PAHs in the oil to be liberated. 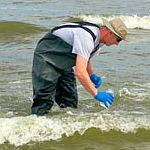 The release of these chemicals into the water had pronounced adverse health effects on aquatic life in the Gulf region as well as clean-up workers, local residents and others. Dr. Sawyer was directly involved in sampling and assessing the toxicological impacts of these PAH releases (litigation continues to the present time). TCAS has extensive experience in toxicologically assessing PAH exposures and remediation issues in both causative and risk assessment scenarios. Please contact our office for additional information. Show all results for "Petroleum"
Variable composition of individual petroleum products and limited human epidemiological studies for some substances impose challenging complexities when producing a scientifically credible toxicological assessment of human health risks. In some cases, contamination may consist of a historical progression of substances released over a period of decades. 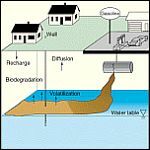 In other cases, unintentional releases (such as waste products from refineries) can infiltrate into groundwater and soil and/or release volatile vapors. In residential exposure scenarios, the population may not even be aware of the hazards until adverse health effects begin to appear. In the case of consumer products, cosmetics, cleaning and janitorial chemicals and substances that emit volatile vapors (such as certain plastics) all possess different toxicological characteristics. The expert toxicologist must account for all of these variables in any objective health risk assessment relating to petroleum products. Exposure assessment involves a process whereby the toxicologist calculates the magnitude, frequency and duration of exposure, compiles sets of information describing exposure concentrations and intake variables, applies the appropriate assessment methodologies and arrives at pathway-specific exposure doses for each substance of concern. Uncertainties must also be taken into account as some exposure events may have occurred in the distant past and may represent a cumulative exposure dose. Thus, petroleum-related assessments frequently fall within the realm of forensic toxicology. TCAS has substantial experience in assessing the health hazards associated with petroleum products and has regularly provided written reports and expert testimony on behalf of both plaintiffs and defendants in accordance with federal, state and local regulations. Please contact our office for additional information. U.S. Environmental Protection Agency, "Benzene," Drinking Water Treatability Database, July, 2009. ATSDR, Division of Toxicology and Environmental Medicine, "Toxicological Profile for Benzene," August, 2007. ATSDR, Division of Toxicology and Environmental Medicine, "Toxicological Profile for Polycyclic Aromatic Hydrocarbons," August, 1995.
International Agency for Research on Cancer, "IARC Monographs: Benzo[a]pyrene," July, 2012. U.S. Environmental Protection Agency, "Region VIII Pretreatment Guidance on the Analysis of BTEX," August, 1999. ATSDR, Division of Toxicology and Environmental Medicine, "Toxicological Profile for Total Petroleum Hydrocarbons (TPH)," September, 1999. ATSDR, Centers for Disease Control and Prevention, "Public Health Statement for Total Petroleum Hydrocarbons (TPH)," September, 1999. U.S. Environmental Protection Agency, "List of Chemicals Subject to the Emergency Planning and Community Right-To-Know Act," March, 2015. ATSDR, Division of Toxicology and Environmental Medicine, "Priority List of Hazardous Substances," February, 2016. U.S. Environmental Protection Agency, "Benzene"
National Coordination Office for Networking and Information Technology Research and Development, "Benzo[a]pyrene"
National Institutes of Health, Department of Health & Human Services, "Molecular Docking of TCDD in Aryl Hydrocarbon Receptors"
U.S. Fish and Wildlife Service, "PCB Marking Requirements"
U.S. Bureau of Labor Statistics, "Petroleum Manufacturing: Beyond the Numbers"
Hydrocarbon exposure assessments must be based on compelling evidence and credible science. Causative conclusions must be supported by peer-reviewed studies and appropriate application of the required investigative methodologies.